Home > News > Attend ENRICH in China 13th Webinar: “China's Path to Industrialised Modernity”. 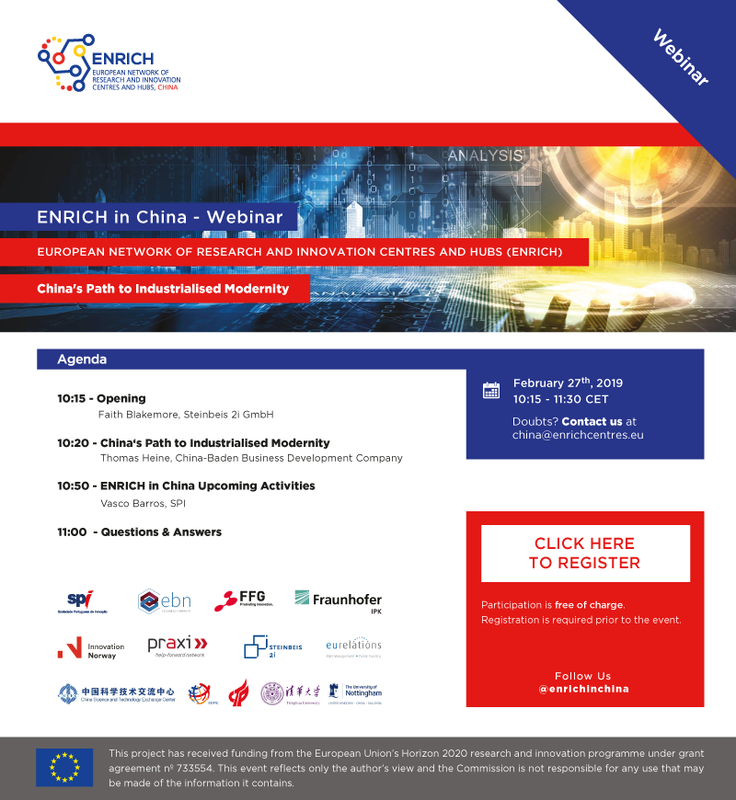 ENRICH in China will have its 13th Webinar on February 27th, focusing on the theme “China's Path to Industrialised Modernity”. This webinar is designed to provide participants with a compact overview of basic knowledge of China's path since 1949 to industrialised modernity and to highlight current challenges facing the Chinese government in implementing an innovation-driven growth model. Through a contextual and systemic perspective, the participants will be invited to form critical, differentiated and objective opinions. You may find the agenda and registration link in the flyer below, as well as on our website, here.